Knight used a software called SMARS which broke up incoming “parent” orders into smaller “child” orders that were transmitted to various exchanges or trading venues for execution. SMARS used to have a functionality called “Power Peg”. Knight stopped using this functionality in 2003, but the code was neither deleted nor deactivated. A decade later, the code was still sitting in the servers waiting to spring into action if a particular flag was set to “yes”. Knight decided that it would now delete the decade old Power Peg code and replace it with the new RLP code. The flag that was earlier used to activate the Power Peg code would be repurposed to now call the RLP code. It could be argued that the first failure occurred in 2003 when Knight chose to let executable code lie dormant in the system after it was no longer needed. I would like such code to be commented out or disabled (through a conditional compilation flag) in the source code itself. I think the biggest failure was in 2005. While making changes to the cumulative order routine, Knight did not subject the Power Peg code to the full panoply of regression tests. Testing should be mandatory for any code that is left in the system even if it is in disuse. The third and perhaps least egregious failure was in 2012 when Knight did not have a second technician review the deployment of the RLP code. Furthermore, Knight did not have written procedures that required such a review. However, the SEC adopted Rule 15c3-5 only in November 2010. The two biggest failures occurred prior to this rule. Perhaps, the SEC found it awkward to levy a $12 million file for the failure of a technician to copy a file correctly to one out of eight servers. 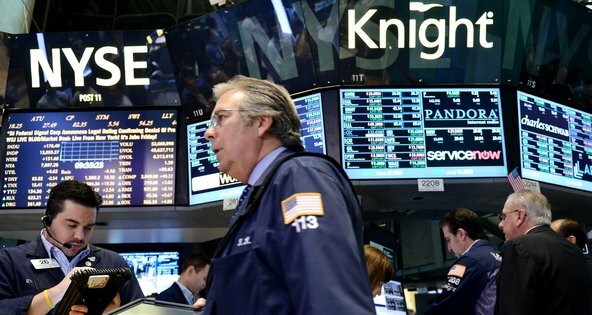 The SEC tries to get around this problem by providing a long litany of other alleged risk management failures at Knight many of which do not stand up under serious scrutiny. For example, the SEC says: “Knight had a number of controls in place prior to the point that orders reached SMARS … However, Knight did not have adequate controls in SMARS to prevent the entry of erroneous orders.” In well-designed code, it is good practice to have a number of “asserts” that ensure that inputs are not logically inconsistent (for example, that price and quantity are not negative or that an order date is not in the future). But a piece of code that is called only from other code would not normally implement control checks. For example, an authentication routine might verify a customer’s password (and other token in case of two factor authentication). Is every routine in the code required to check the password again before it does its work? This is surely absurd.